The seas surrounding us continue to influence economic affairs and fortunes of mankind since antiquity. Today the waterways across the globe are abound with vessels of various types ranging from small inland fishing craft to ultra large crude carriers. Maritime Domain Awareness encompassing identification, monitoring and constant tracking of these vessels is imperative to prevent any potential threat from the sea from impinging on the coastal and offshore security of the country. In today’s interconnected world, security issues in one country have the potential to affect not only its neighbours but the wider region. This is especially true in the maritime domain where porosity and expanse of maritime borders means that illegal activities can sometimes go undetected, despite the best efforts of national maritime enforcement agencies. The Indian Ocean Region, in view of its strategic location as also being home to a vast majority of world’s population, can be considered as the economic highway that drives global commerce. With over 75% of the world’s maritime trade and 50% of daily global oil consumption passing through the region; IOR is vital to world trade and the economic prosperity of many nations. The IOR is also a fragile environment, with threats such as maritime terrorism, piracy, human and contraband trafficking, illegal and unregulated fishing, arms running and poaching being prevalent. Hence, facilitating a conducive environment to undertake legitimate maritime activities in this region is a necessity. Response to these challenges requires enhanced situational awareness of the maritime activities in the region, so as to enable security agencies to function effectively. Further, the scale and scope, and the multi-national nature of the maritime activities; make it untenable for individual countries to address the twin requirements of situational awareness and law enforcement. Hence, collaborative efforts between maritime nations, is essential. Towards this, India has operationalised bilateral maritime information sharing with a number of countries and is also undertaking capacity building measures, where requested. To further collaborative efforts, a need has been felt to establish a dedicated centre for undertaking collation, fusion and dissemination of this data being exchanged with all partners. The growing realisation is that collaborative information sharing at the national and international levels provides compelling value propositions for all. An endeavour is therefore needed to join hands with interested stakeholders to forge bilateral and multilateral intra-regional information sharing networks which will not only ensure a collective regional approach but also global collaboration to deter threats emerging in the maritime domain. Confidence and capacity building amongst partner nations, thereby ensuring swift and accurate exchange of information pertaining to maritime security. Maintaining extensive and continuous linkages to ensure comprehensive MDA of the region thereby achieving transparency of maritime environment. Use of high tech including state of the art methods and analytic tools to undertake traffic analysis thereby ensuring that any emerging threats and trends are predicted in time. The IFC-IOR stems from the importance of the Indian Ocean to world trade and security, and the need for the various maritime nations and organisations to collaborate towards enhancing maritime safety and security on the seas of this region. In addition to utilising the collective wisdom and resources towards addressing myriad challenges in the region, IFC-IOR will help interface and integrate, wherein, all partners and stakeholders would benefit from each other’s best practices and expertise. 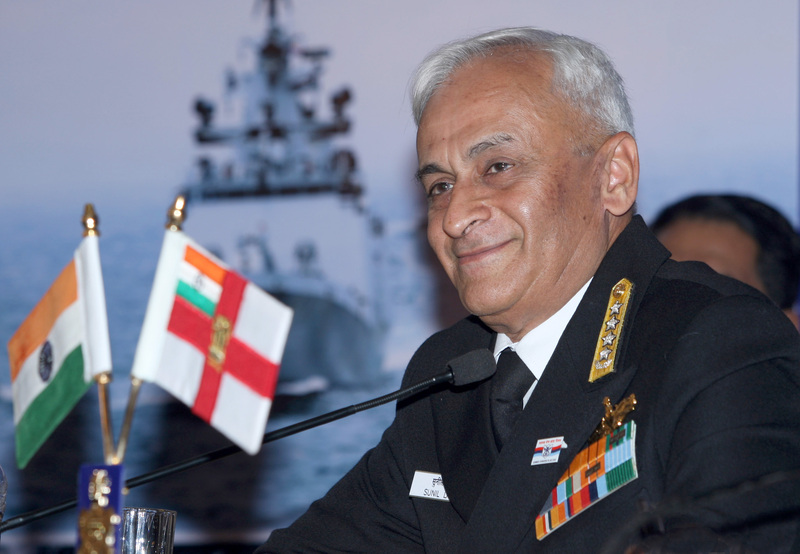 The IFC has been established at Gurugram, India and is collocated with Information Management and Analysis Centre (IMAC) which is jointly administered by the Indian Navy and Indian Coast Guard. IFC-IOR is established with the vision of strengthening maritime security in the region and beyond, by building a common coherent maritime situation picture and acting as a maritime information hub for the region. Establishment of IFC-IOR would ensure that the entire region is benefitted by mutual collaboration and exchange of information and understanding the concerns and threats which are prevalent in the region. The information Exchange at the IFC-IOR would be initially undertaken by virtual means, using telephone calls, faxes, emails and video conferencing over internet. Subsequently, to enable better interconnection, quicker analysis of information and provide timely inputs, the IFC-IOR would host Liaison Officers from partner countries. Additionally, towards enhancing capability building, the IFC-IOR would undertake conduct of exercises and training capsules in maritime information collection and sharing. The setting up of IFC-IOR underscores the governmental approach and effort in line with the vision of our Hon’ble Prime Minister, Shri Narendra Modi towards Security and Growth of All in the Region (SAGAR).